A big part of deck repairs is the floor boards. The fasteners tend to loosen over time. This allows the boards to come out of place and even warp. Or sometimes the board shrink and become to short and slip down past the joist. Also some of the boards crack or get rough and splintery. To repair these issues we either repair the boards or replace them all together. Eventually the posts and railings give out. Some just become wobbly and unsafe. Other crack and break. We tighten loose parts of the railing and secure them to last for a good while. If railing balusters are broken we also fix those. 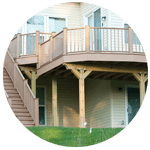 Our goal is to make your railing well functioning without spending a lot of customer money. Deck posts can sag. The joists can become loose. The floor can begin to shake. And the list goes on. However many of these problems can easily be fixed with a little bit of structural reinforcement. 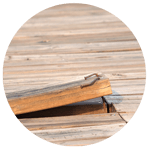 We can add joist hangers to tighten the frame, add big fastener bolts into the wall where the deck meets the main building, replace a sagging post, and more. 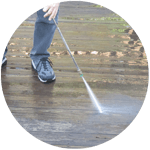 It is good to clean and wash wooden decks frequently. Because they are out in the open they tend to collect debris. Plus mold and mildew grow if not washed frequently enough. 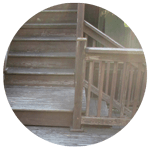 We clean and wash your deck to keep it in good shape for years. We recommend a new coat of finish every few years. 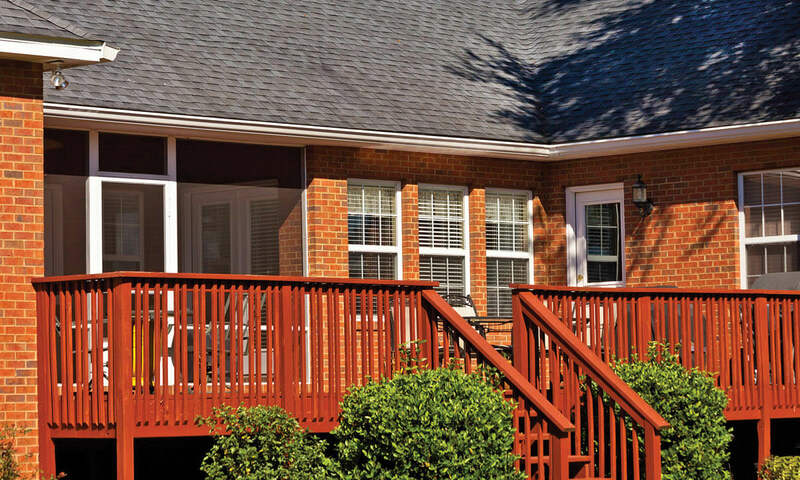 This helps maintain the deck by deterring sun rays and rain water. 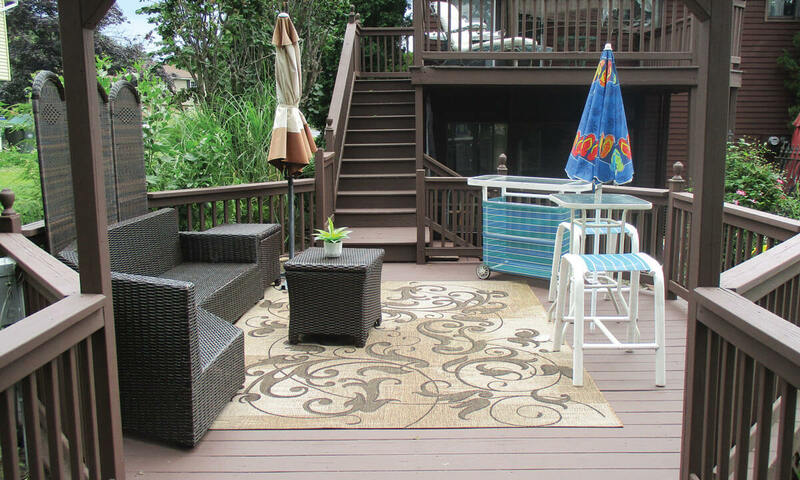 With a little maintenance work, decks last and look nicer for a longer time. 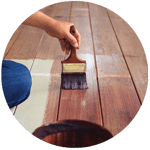 Our handyman services include anything from simple deck repair to more complex deck finishing, as well as more involved deck restoration and refinishing.